“You shouldn’t wait on Him. You need to get out there and find yourself a guy. Otherwise you’ll be waiting a long, long time.” He pronounced those last three words ominously, like a bad nightmare or a lifelong prison sentence was happening. I stared into nothingness as the man’s retreating steps echoed down the hall. Instead of the fear and impulsiveness and go-find-him-now mentality that the man at the mall tried to instill in me, peace and assurance surrounded my heart. I was reminded of where it says in Proverbs 18:22 that “He who finds a wife finds a good thing and obtains favor from the Lord.” Notice that the verse clearly indicates that it’s the man who finds the wife and not the other way around! Worldly wisdom says to go find a guy – now! Worldly wisdom says you must have a boyfriend. Worldly wisdom says that you won’t be satisfied until you have one. Worldly wisdom says to do it yourself. The thing is, worldly wisdom is the opposite of godly wisdom – of God’s way of doing things. Godly wisdom says to wait, be patient. 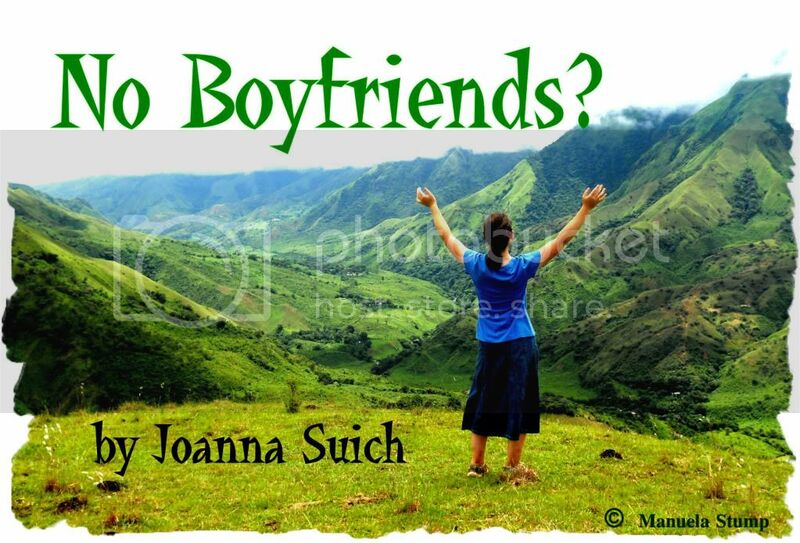 Godly wisdom says that you don’t have to have a boyfriend. Godly wisdom says that you can be satisfied in God alone. Godly wisdom says that you should let God script your love story. So, who would you rather stick with – wretched sinners and their “wisdom” or a holy, perfect, and loving God who is all-knowing, all-powerful, and has your best interest at heart?